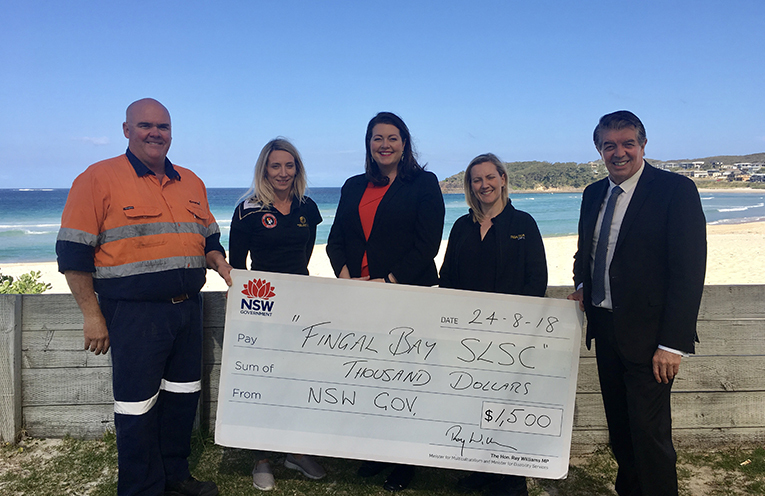 Fingal Bay Surf Life Saving Club were a recipient of a volunteering grant for $1500 from Minister Ray William, pictured are Rodney Limn, Tanya squires, Liberal candidate for Port Stephens, and Port Stephens Councillor Jaimie Abbott, Vanessa Thompson and Minister Ray Williams. AMONG the delegation in Port Stephens for the NSW Liberal Party conference in Nelson Bay was Minister responsible for Volunteering, Disability Services and Multi-culturalism, Ray Williams who was on hand to support local volunteers. He announced $1,000 to support the Thou-Walla Family Centre Sewing Group, which is open to all members of the community and provides an opportunity to form friendships, learn and share ideas. He also contributed $5000 to the Salvation Army appeal to help our farmers through the drought. Liberal candidate for Port Stephens, Jaimie Abbott said she was pleased the NSW Government had supported the Thou-Walla Family Centre Sewing Group. “The Sewing Group began last year and has been supported by volunteers and donations,” Ms Abbott said. Thou-Walla Family Centre Sewing Group spokesperson, Gina Ascott-Evans, said “Without the support of donations and volunteers we would not be able to deliver the Sewing Group, “When we first started, the Benevolent Society kindly donated the sewing machines,” Ms Ascott-Evans said. Ms Abbott and Mr Williams also visited Caring for Our Port Stephens Youth and Tomaree Youth Community Action Group to recognise the volunteers of these remarkable organisations. News of the Area was on hand to ask the Minister about the residents at Tomaree Lodge. 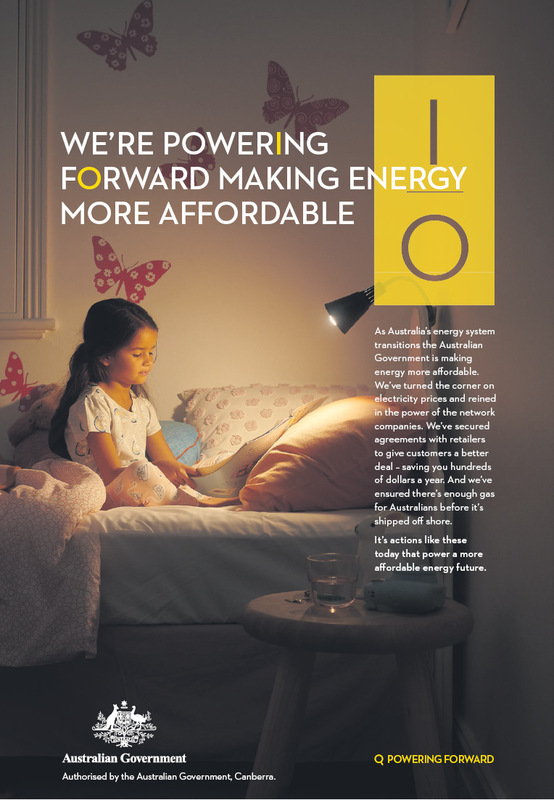 Ray Williams, Minister for Disability Services told News Of The Area, “The Liberals & Nationals Government is committed closing all large residential centres and building new homes tailored to suit the needs of residents,” he said. 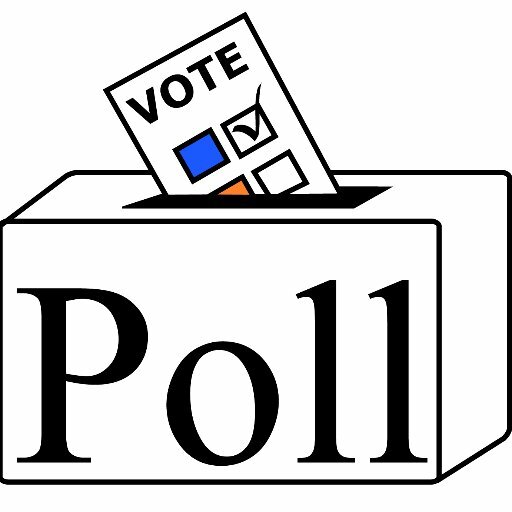 Port Stephens Liberal Candidate for Port Stephens Jaimie Abbott, said “I’m proud the NSW Liberals & Nationals Government is committed to supporting local people with disability. 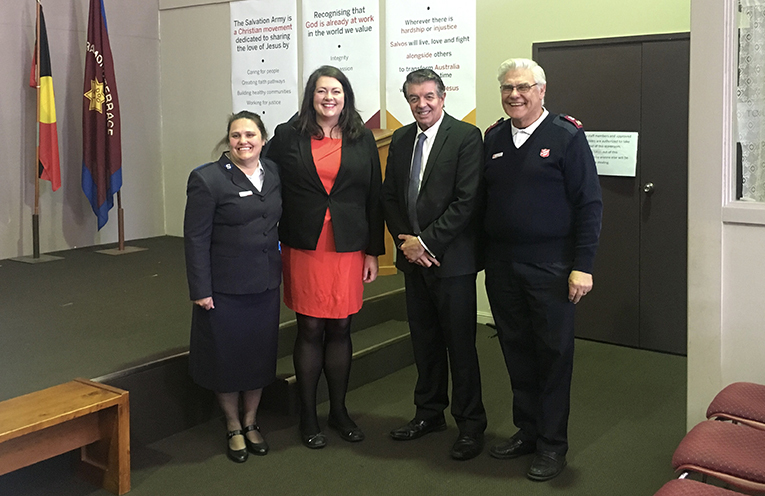 The Salvation Army’s Auxiliary Lieutenant Tracy Iles, Liberal Candidate for Port Stephens Jaimie Abbott and Minister for Volunteers Ray Williams MP and Envoy of the Salvation Army Ron Peterson.